Small get to gathers, fun family time and juicy gossips with friends, a living room witnesses all. Being the center of all our social and fun family celebrations this section of the house is given a little more attention in decoration and furnishing than other homey areas. 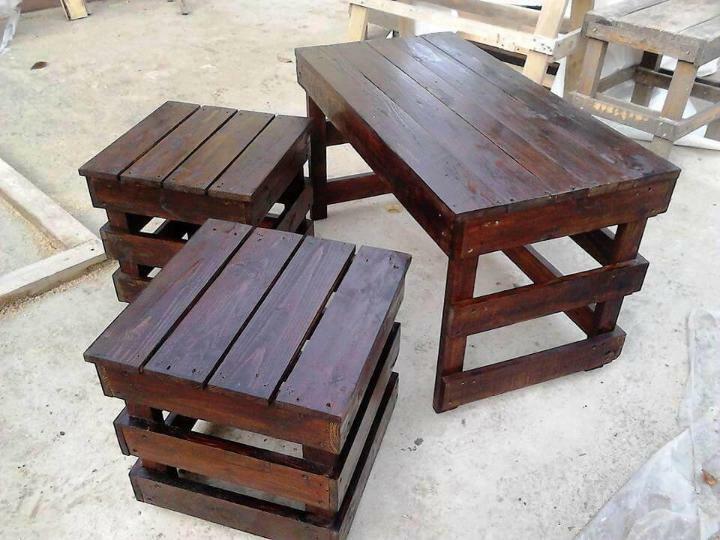 That is the reason the furniture items created from pallets are mostly belonging to the living area for being compulsory and demanding. 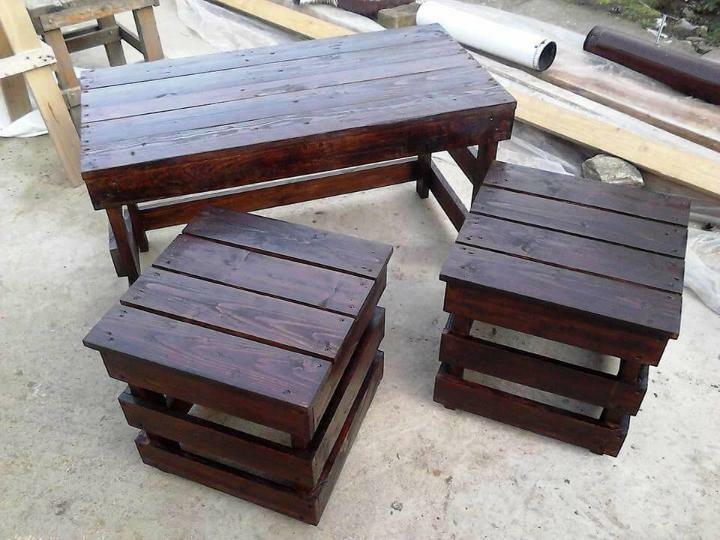 So we have the second most vital furniture creations for your living rooms after the sofa and chairs and they are the DIY pallet coffee table with side tables. Give your living an accomplished look with a center piece coffee table and side tables for the seating possessions. Simply cutting the pallets into separated slats of large and small sizes these tables have been build with tops, legs and the extra boundary layers to add in its stability and style. Dark chocolaty brown shade has been used to give this table set a nice stain finish to suit your decor types especially a rustic one. 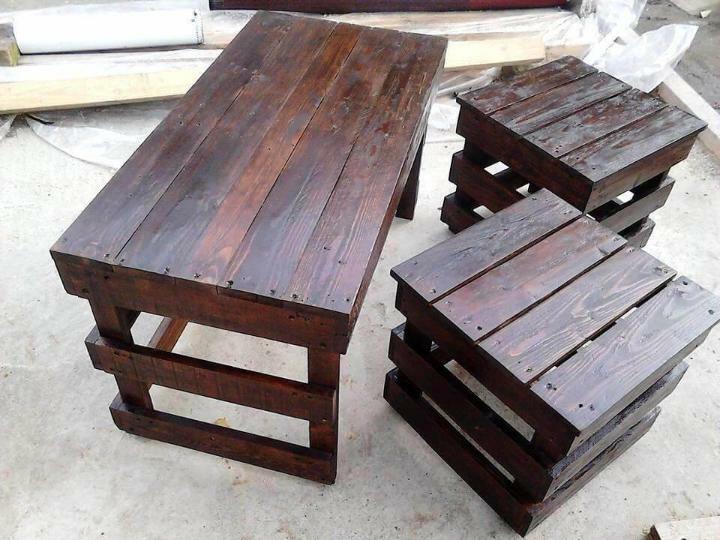 Go and grab some pallets to avail this awesome looking set of coffee and side tables for your living room coming with simple design but magical stain finish. Pallet slats have been simply stacked and nailed together to shape up the tops, leggy support and the extra covering slat boundaries in two layers. Dark cocoa shade has been chosen to give this simplistic set an intense rustic finish that you can proudly welcome in your living room decor.